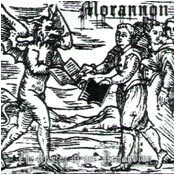 There are 2 bands with the name Morannon. 1) Is a swedish black metal band formed in 1993. Consisting of members from Isole (ex-Forlorn), Withered Beauty among others. 2) A german black metal band.